Like most young lads I used to get involved in the playground swapping of footy stickers and the sacrifice of going hungry at dinner time because I had spent my dinner money on packets of stickers. I can still remember the excitement when I used to find a missing sticker so I suppose it should have come as no surprise that once I "grew up" I would end up collecting the albums all over again !! So as well as collecting them Ive also decided to put a site together giving an overview of what albums are about and a general idea of what each collection included. 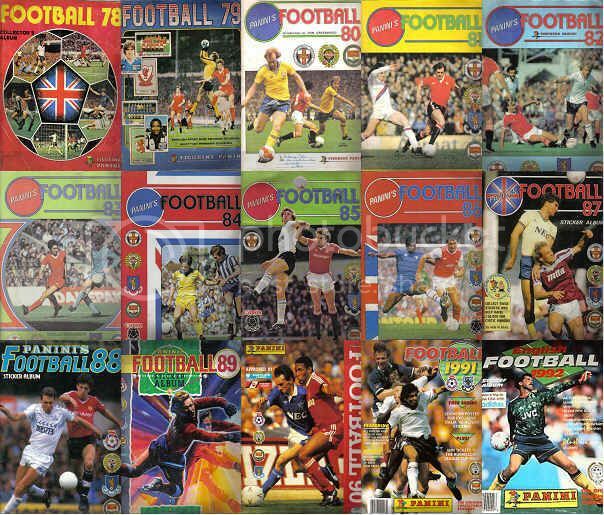 Of course there has been hundreds of different football sticker alums over the years so Im not even going to attempt to claim yhis is some sort of definitive guide to football stickers, it will though give you an idea of what football stickers are all about. There are some issuers that are (or were) more popular than others, Panini for example was one of the biggest in the 70's to 90's, the period which this site predominately concentrates on. Merlin (examples below) also had a lot of success with their football offerings but entered the market a lot later than Panini. I will be detailing the various years albums but please bear in mind that I do have a day job so this site will probably never be up to date and I will no doubt have missed loads off so if you do have details of any albums I havent mentioned please feel free to mail me and let me know. 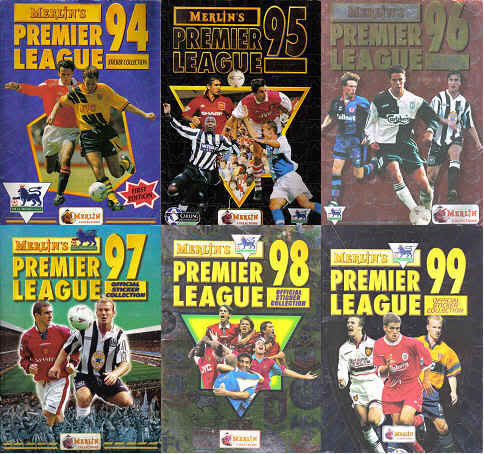 Below is a brief overview of each years sticker album.